After getting the sketches written for the SI5351 board written to support multiple display types, I decided I need to write one more. Now that Pete is moving the Simpleceiver to a single conversion super-het, I will have to worry about the BFO as well as VFO frequency. Since I will probably use a different crystal frequency than Pete for the IF filter, I need to have a way to find the correct BFO frequency for both upper and lower side band. 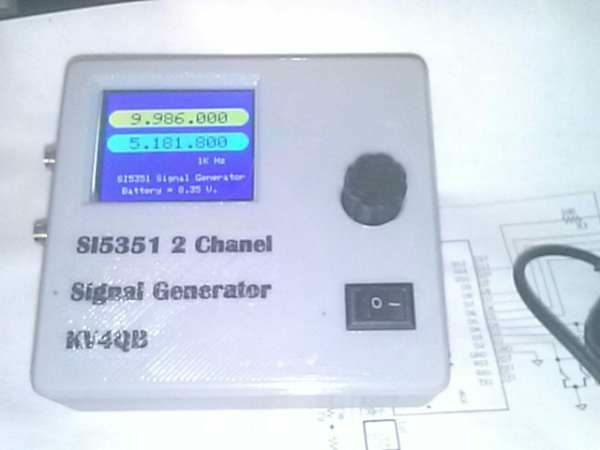 The easiest way to do that is to write a sketch that uses the 5351 as a two channel signal generator,with independent control of both frequencies. This entry was posted on Thursday, October 12th, 2017 at 11:41 pm	and is filed under RF. You can follow any responses to this entry through the RSS 2.0 feed. You can skip to the end and leave a response. Pinging is currently not allowed.